With the winter season fully upon us, you may have to bring out the heating appliances more than usual. However, you should always bear in mind that your propane fuelled heating devices should be looked after and maintained to not only stay safe but to work to their full potential. Whether your appliances heat air or water, if you live in a colder climate, space heaters, furnaces, and boilers are the source of your home’s comfort. However, many of us take for granted just how important they are until something goes wrong. A well-maintained heating system can keep you from having serious problems down the line. Annual services, appropriate cleaning or a tune-up will decrease the chance of problems. 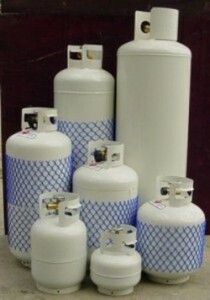 It’s also important to use only propane from reliable suppliers such as Northwest Propane. Our specialists can stop problems ahead of time by completing the proper safety checks. Some signs indicate your heating system isn’t working well. However, carbon monoxide cannot be seen or smelled and is highly dangerous. If you begin to feel ill, such as if you are coming down with the flu, have your heating units checked right away. To prevent this, have a detector installed. To avoid anything such as fires, keep the area around any heating appliance or furnace clear. A fire can be quickly started if your unit or appliance is boxed in and surrounded by clutter. If you want to talk to us about the safety of your propane unit, or to order or dispose of fuel, get in touch with us today at Northwest Propane. You can call us at 972-247-6121 or have a look through our website to see if we can help you with your needs.